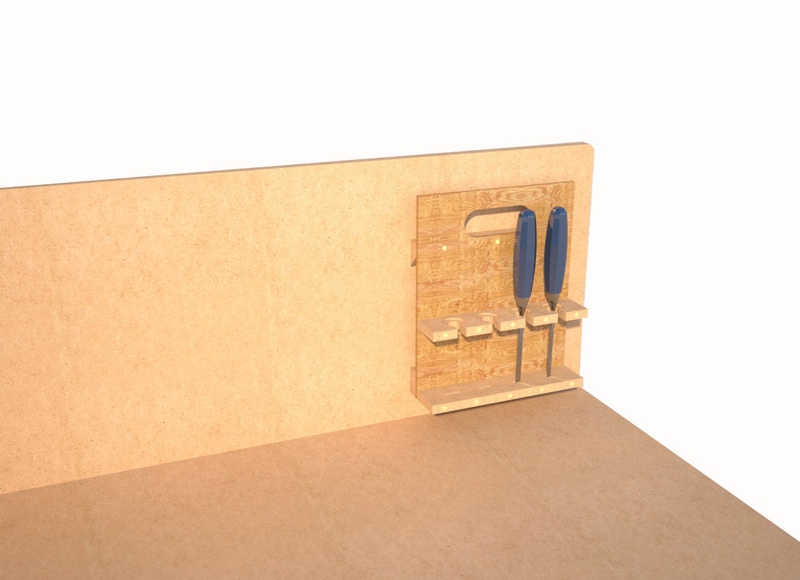 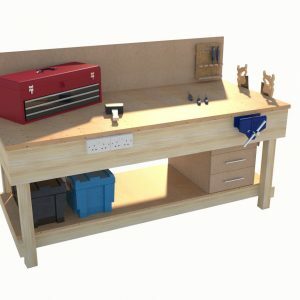 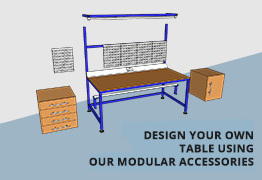 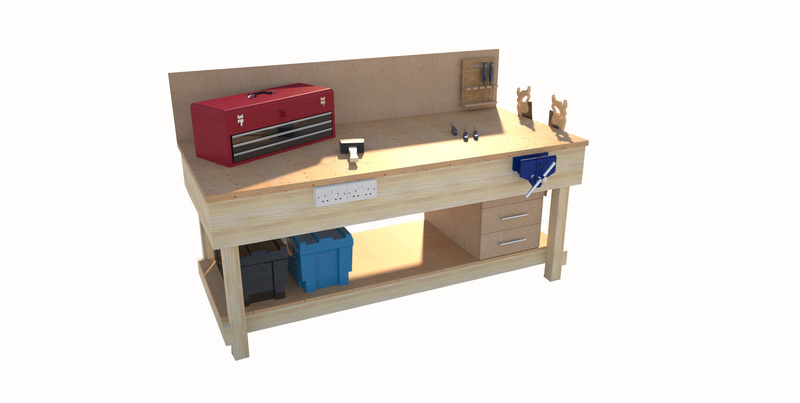 Ideal workbench for workshops or training facilities. 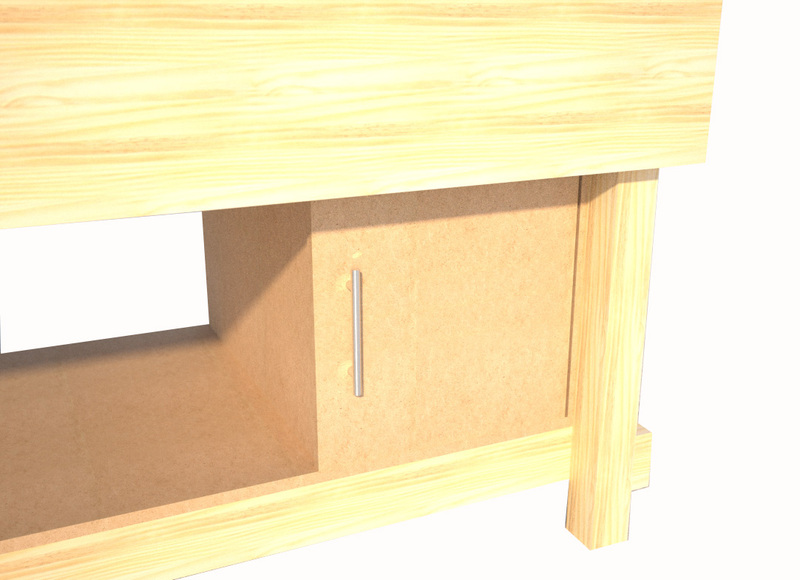 Wooden construction fully assembled ready to use. 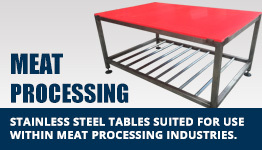 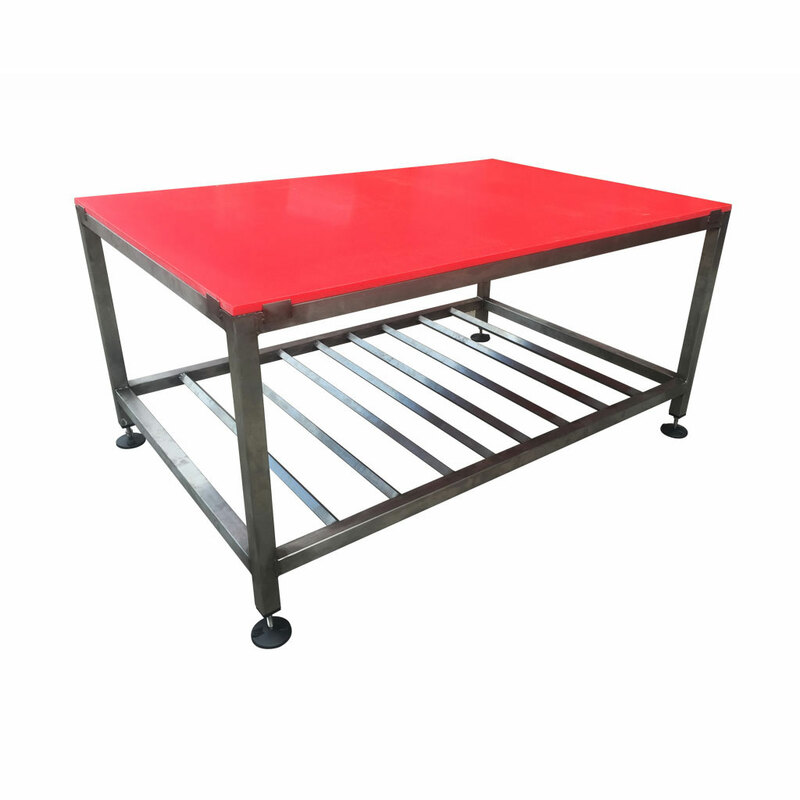 This table is L1200 x W900 x H850 and can be modified to suit. 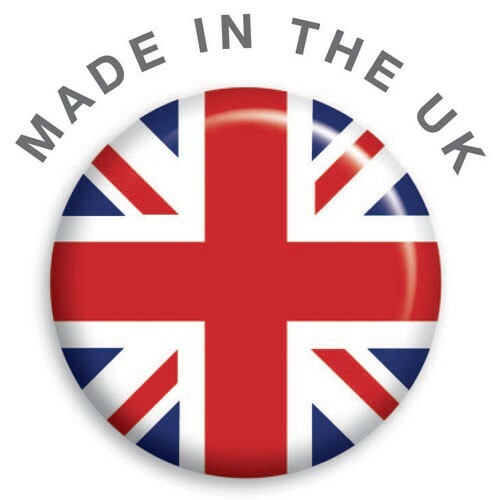 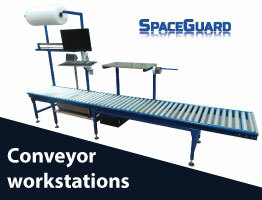 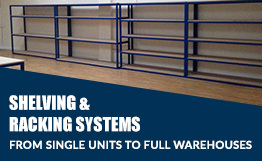 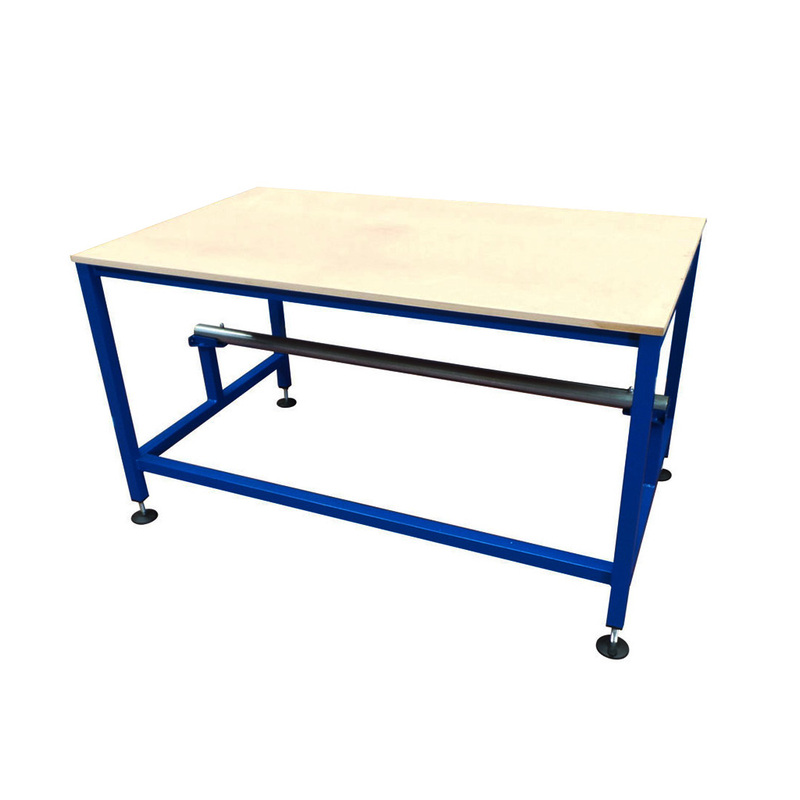 Wooden workbenches manufactured by Spaceguard are ideal for Industrial applications, joinery workshops or training facilities these workbenches are manufactured entirely from a robustly made large section wooden construction supplied fully assembled and delivered ready for immediate use. 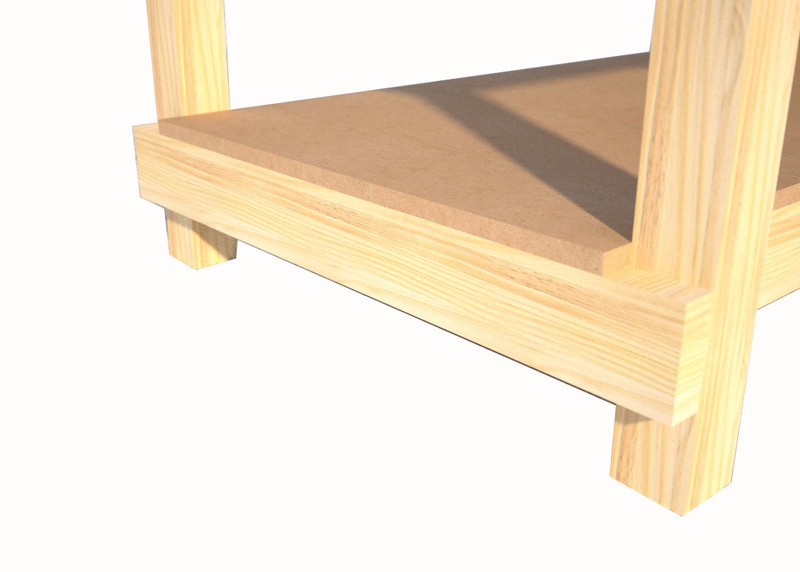 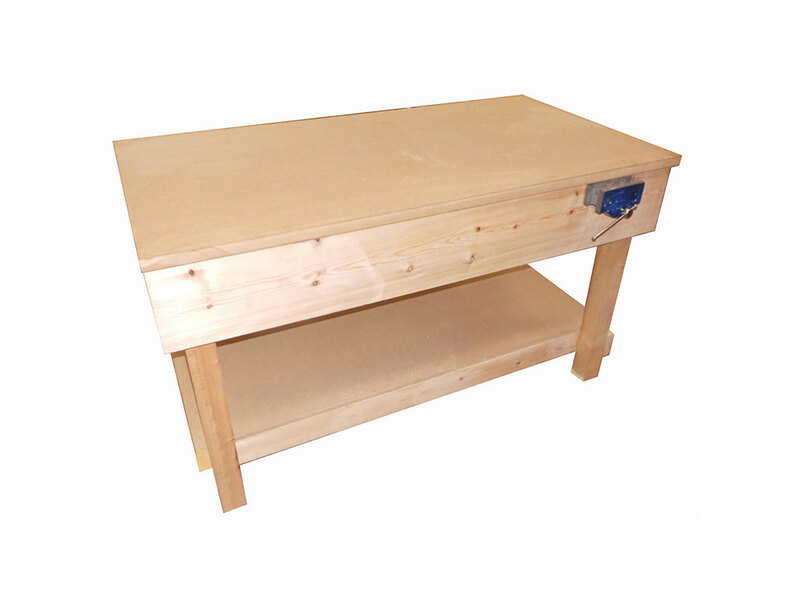 Wooden Workbench size on this table is 1200x900mm with a standard height of 850mm (however this can be changed to suit your individual requirements) Supplied with a robust 30mm MDF worktop and comes with a lower shelf as standard within the base table cost. 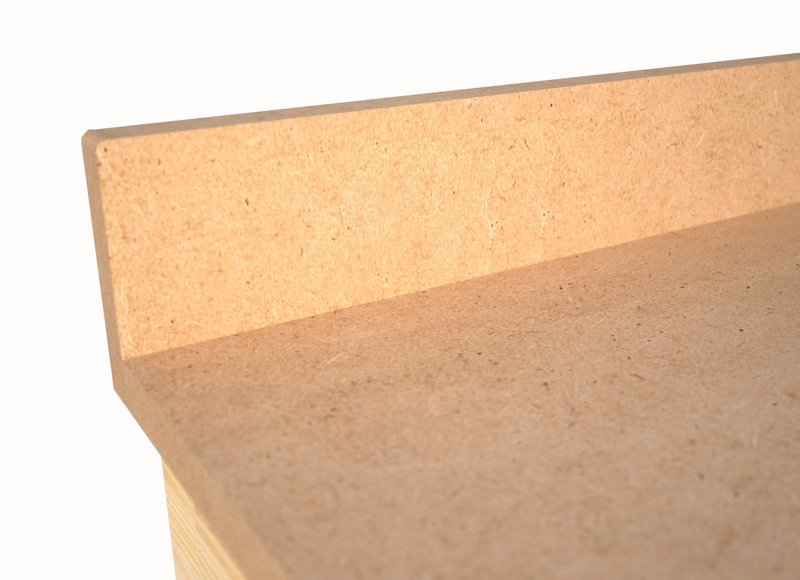 For a harder wearing more durable finish we can also supply hardwood worktops at additional cost. 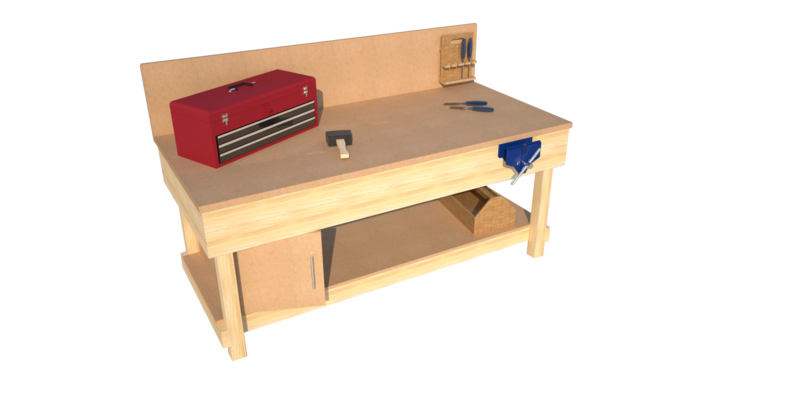 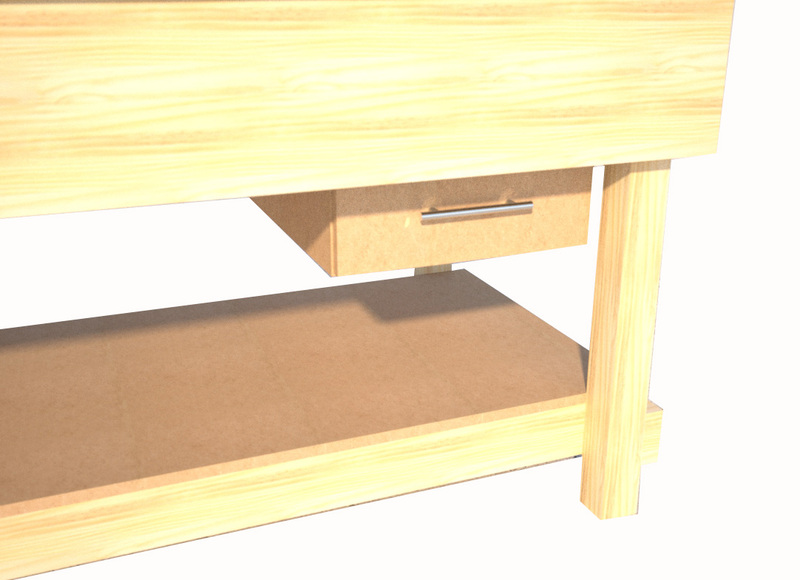 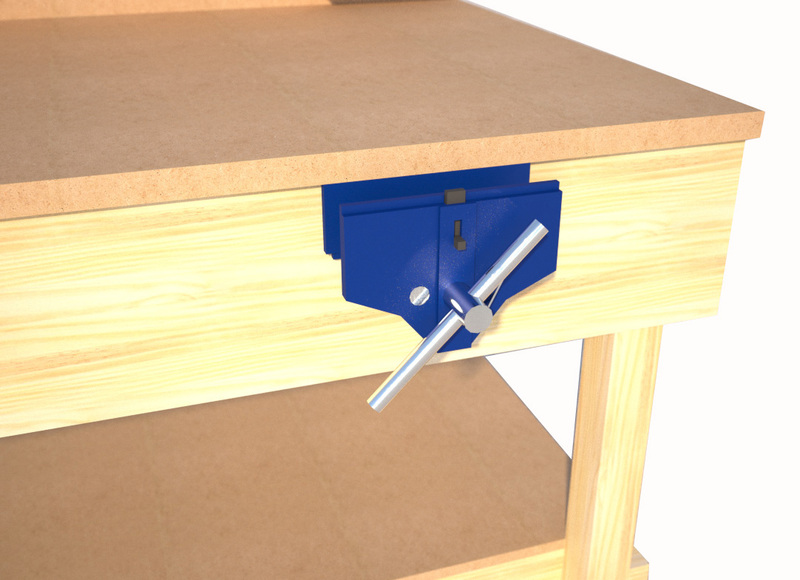 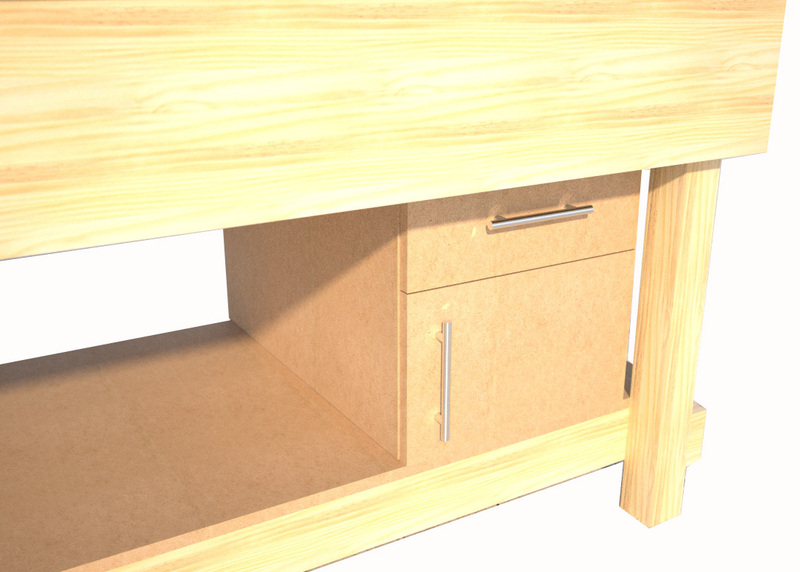 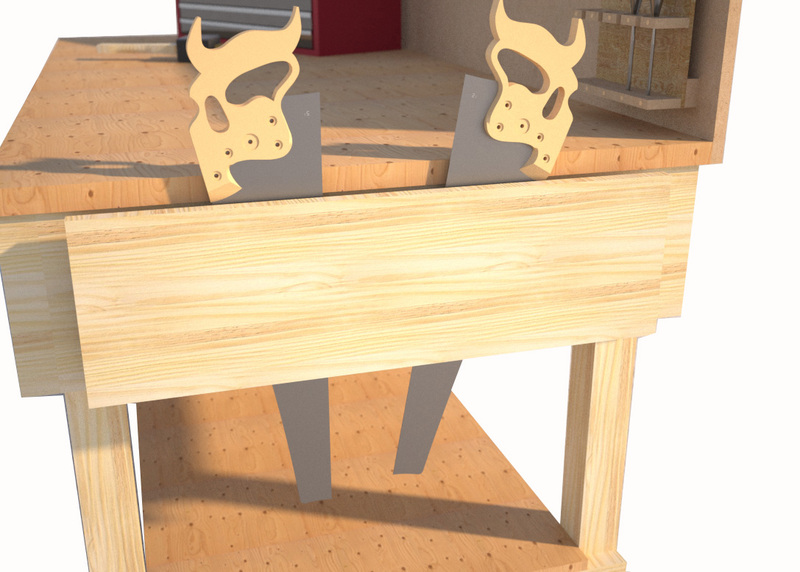 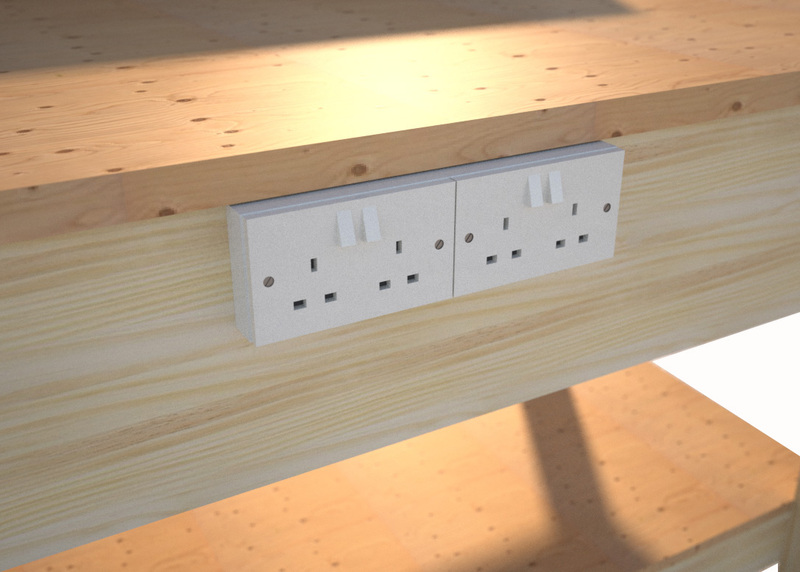 The extras available on this workbench include storage cupboards, woodworking vices, outer lipped edges (to keep products on the worktop) or tool racks.